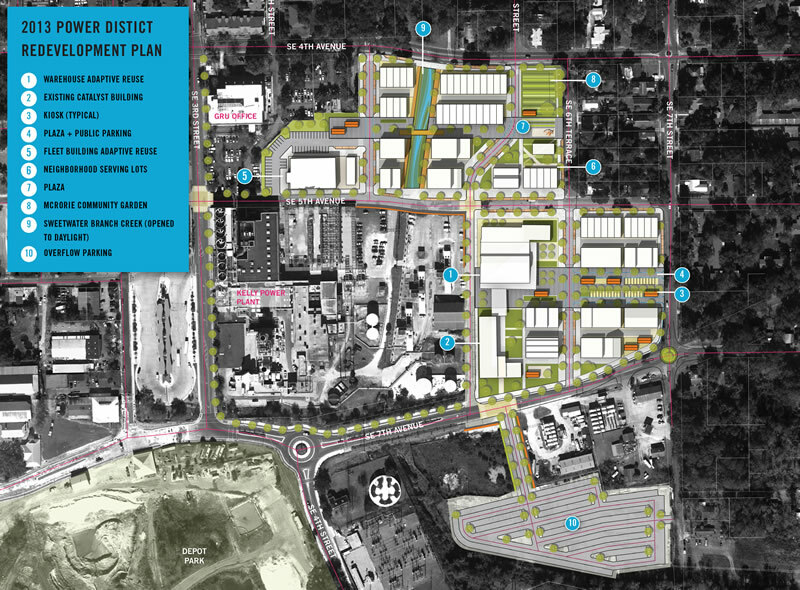 The Power District is a unique 17-acre redevelopment opportunity of active as well as inactive GRU facilities located in Southeast Gainesville between Downtown and Depot Park. 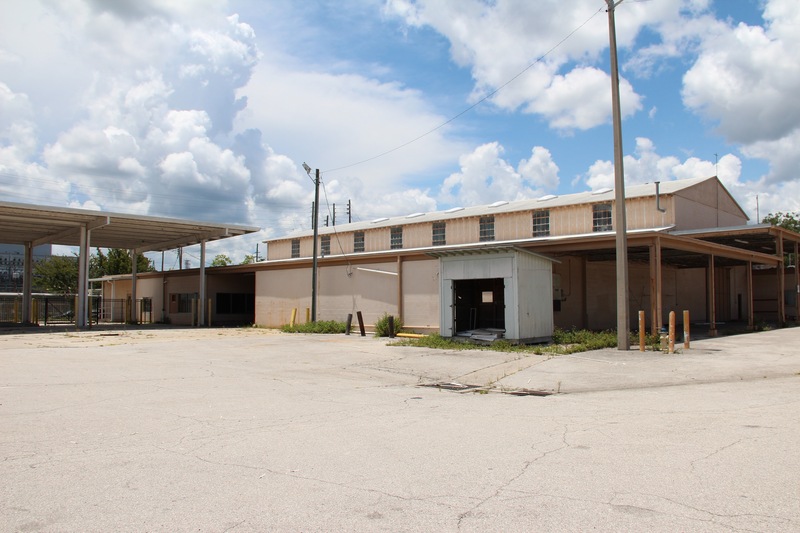 The CRA on behalf of GRU and the City is acting as an agent for redevelopment. To date, significant pre-development due diligence work such as community engagement, crafting the 2013 Redevelopment Plan, rezoning, technical studies, special events, and environmental analysis has been completed. As a result, in 2016 the CRA began a multi-phase solicitation process to assess interest of the private development market to partner with the public sector on the implementation of the Power District. 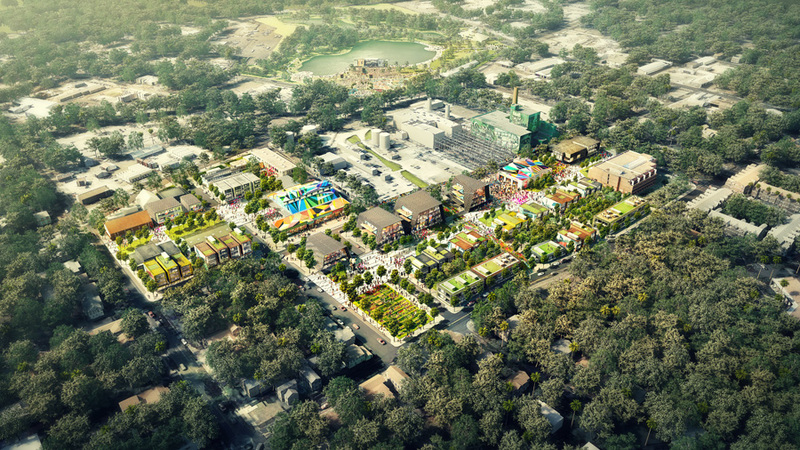 The goal of the solicitation process was to identify and encourage interested private development parties, determine the market’s desire, approach, and outline the general terms of a potential public private partnership all while ensuring the community vision and core planning principles of the adopted 2013 Redevelopment Plan are maintained throughout the development process. With limited public resources available to fully execute the vision for the Power District, the public private partnership approach is being pursued to identify and prioritize market based projects that will serve as a catalyst for long-term sustained economic and community investments. Following the multi-year public private partnership solicitation process that began in 2016, negotiations with the selected developer were terminated in March 2019 as a result of significant changes to the development company as well as their associated key personnel. CRA, GRU, and City of Gainesville Staff are now re-grouping to compose a new redevelopment strategy to advance the project based on lessons learned from the prior solicitation and current priorities from the community and policy leaders.